Having obeyed God and having left a strong legacy, Genesis 25:8 tells us that when Abraham died he was “satisfied with life” (NASB). 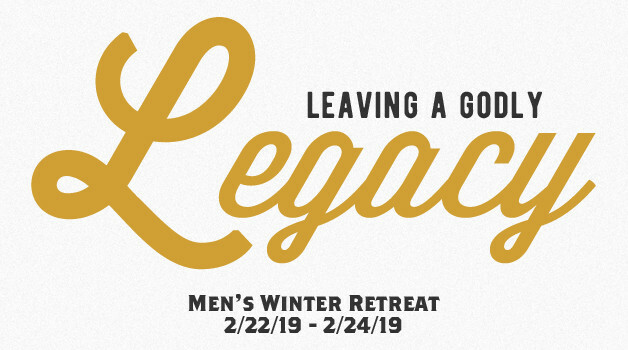 Strong, godly legacies just don’t happen, so it’s important for men to sharpen their leadership and discipleship and develop the discipline to finish well. Retired Navy Captain Tom Joyce is a Pastor at Immanuel Bible Church in Springfield, Virginia. Raised on Long Island and recruited as a lacrosse player, Tom graduated from the United States Naval Academy in Annapolis in 1979. After completing Naval Flight Officer (NFO) training he was selected to fly the F-14A Tomcat and later graduated from the Navy Fighter Weapons School (TOPGUN) in 1983. Two years later, Tom was selected to fly in some of the scenes in the movie “TOPGUN”. After several operational tours in fighter squadrons Tom commanded Fighter Squadron 111 onboard the aircraft carrier USS Kitty Hawk. Under Tom’s leadership, Fighter Squadron 111 was recognized as the best Fighter Squadron in the Pacific Fleet. Tom has accumulated over 2200 hours in the F-14A Tomcat and has made more than 600 aircraft carrier landings.